Dan B. - Restaurant DanB. 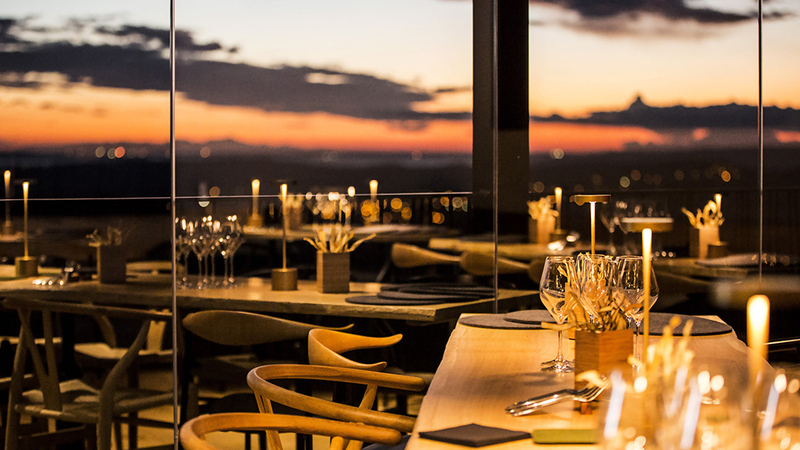 Chef Dan Bessoudo’s flamboyant vessel has come to land, perched high on the hill of Ventabren in Provence. Dan’s journey started here 12 years ago. After his training at the Paul Bocuse Institute in Ecully and apprenticeships with some of the greatest chefs in Switzerland, Paris, Moscow and Stockholm – where the 4 years spent at the Operakalleren were to exacerbate his talent for presentation and taste – in 2004 Dan put down roots in his native South of France, in the beautiful village of Ventabren. Here he opened his discrete “Table” , anchored between the rocks, working with fresh, local produce. And here he is awarded his first Michelin Star. He continues to amaze his guests with his incredible creativity and his capacity to make the products evolve in a way one could never have imagined possible. The work of an artist, at the height of his art, who can express himself to the full in this unique new space. 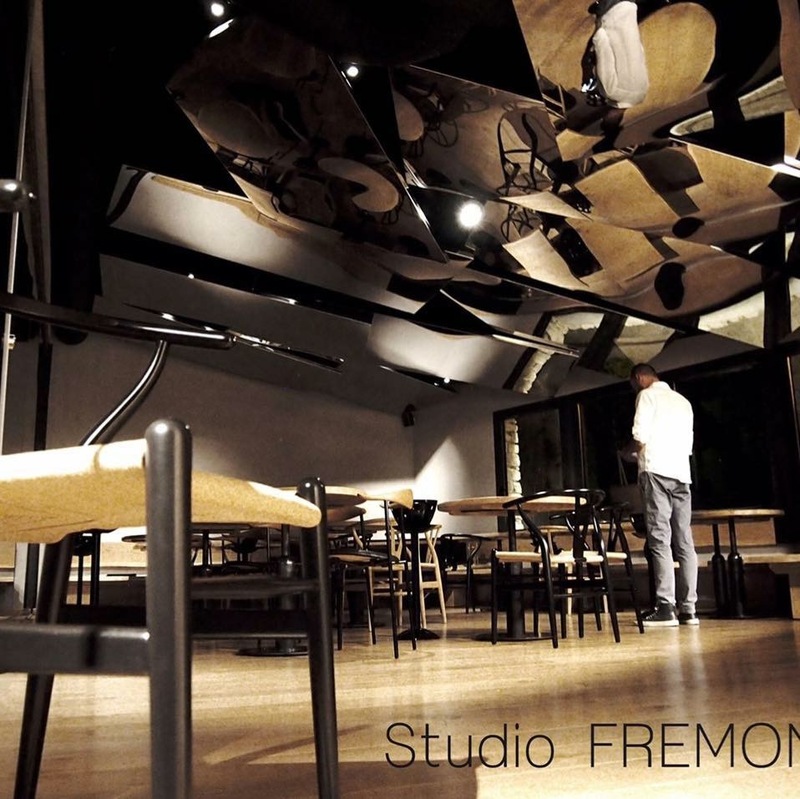 An in-depth study of what a restaurant should be with the architect Olivier Framont (Studio Framont in Aix en Provence). The complicity between the two men is so obvious and can be found in the ambiance of the restaurant which matches the visual effects and the stimulation of your tastebuds. At the start of the project was the purchase of the stone building situated under the terrace opposite the original Table de Ventabren restaurant. This outdoor terrace had a majestic view , dominating the countryside and reaching far into the distance towards the Camargue. To transform it into a restaurant the two men imagined an area protected by 3 meter-high glass panels which can be either closed or completely open, depending on the season and the weather. The magic worked and the view remained intact. The wood panels in this refined space help to emanate a calm serenity. The views onto the countryside and the open kitchen, the apertures onto the ancient village, all are reflected in the stainless steel panels on the ceiling. Minds are at rest. The eye concentrates on the pallet of colours which radiates from the dishes. The beautiful plates enhance the dishes which follow one after the other. Whether caressed by warm breezes during daytime, or contemplating the sky as it turns to red in the evening, (with only a tiny table lamp for light) the architect’s aim was to “capture an emotion”. 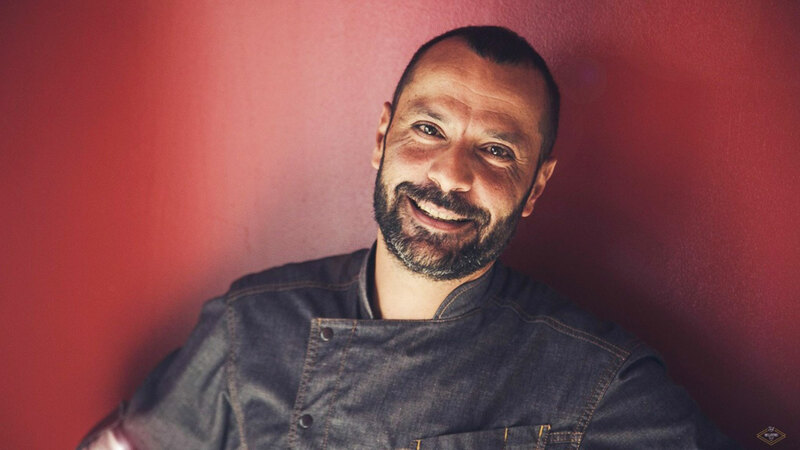 Together with Chef Dan Bessoudo the two men have set all emotions on fire !